GeekTonic: Media Gadget Showcase - MythTV, VMC, GB-PVR and SageTV Oh My! The ninth submission for the GeekTonic Media Gadget Showcase Series is here. Today's submission is from Clift, the winner of the SageTV HD200 giveaway. 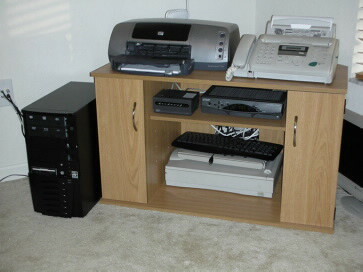 Clift shows us his HTPC setup and tells of the pains to get from standard definition to HD on his HTPC setup along the way. 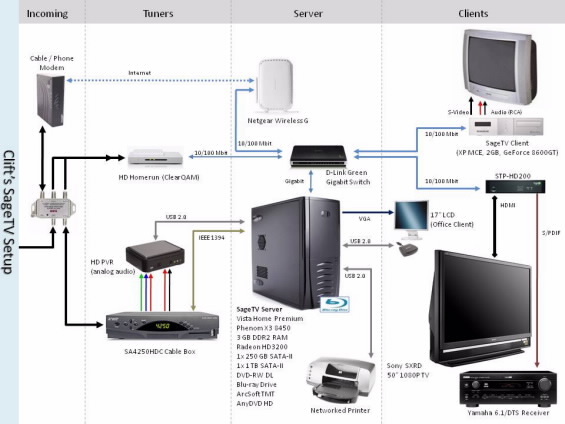 Lots of great information in this guest post and a fairly simple, but powerful setup that should help give others ideas on how to best set up their own HTPC. NOTE: This is a guest post by Clift. To read more about how to submit your photos and/or write-ups for the GeekTonic Media Gadget Showcase Series, read this. Basic guidelines for writing and submitting a guest post at GeekTonic can be found here. I started using windows media center edition in 2006 because I wanted a way to record my TV shows and I didn’t want to pay for a cable TV DVR or a Tivo. At that time they were charging quite a bit for HD DVRs through the cable company and I felt that I shouldn’t have to pay more than just the box rental fee in order to record to a local drive. I had heard there were ways to set up your own “Tivo” using Linux but I never really knew much beyond that. I remember seeing a website that listed how to use FFDshow to upconvert DVDs. I’m sure we’ve all seen it. It’s the one where they show a comparison picture of Yoda (I believe it was on HTPCnews, RIP). After that I was on the hunt. I knew I wanted to build a PC based DVR. But where to start? I believe that same site had some basic information. So without too much research I jumped in. I remember going to newegg.com and specing out a relatively decent machine for that time. I had it set up with a 3 GHz processor, 1 GB Ram, 250GB Hard Drive and an ATI Radeon All-In-Wonder x800xt. I also bought the requisite HTPC case: a Silverstone LC11m, which I still use. When I got everything in, I carefully put it together. Then I loaded Windows XP MCE and started messing around with it. At that point I remember being very lost. I could not understand why I couldn’t get high definition. After countless hours on AVS Forums and TheGreenButton Forums I learned all I ever wanted to know about how ridiculous it is trying to High Definition into a PC Based DVR/Media Center. But at the time I had Comcast and a Motorola cable box. Turns out I was able to get FireSTB and MyTray to work alongside MCE and get HD recordings. On top of that, my box was not 5C encrypted. So that means I got TNT-HD, ESPN-HD and even HBO-HD. Eventually we bought a new house and the cable provider there only had Scientific Atlanta boxes. Not only were these 5C encrypted, but the firewire ports did not even work at all. This drove me to have to do even more research. I found the HD Homerun, which was a nice solution and also allowed us to use the HTPC as a DVR and less like a VCR since we could actually watch live TV in HD. But still, I knew this wasn’t what I wanted. No Monday Night Football in HD? 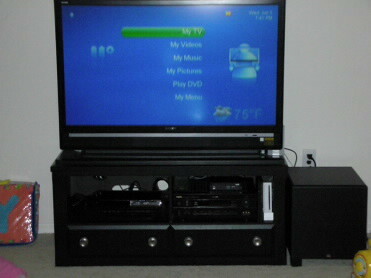 Fast forward to August 2008 when I first learned about the Hauppauge HD PVR. I knew this was what I wanted. But it didn’t work with MCE. Well, it took me all of about 3 seconds to decide to buy one and switch. Now I had used SageTV, MythTV, VMC, and GB-PVR, over the years to try them out and always went back to MCE. It was comfortable and had taken me a long time to dial in just right and I didn’t want to mess with a good thing. 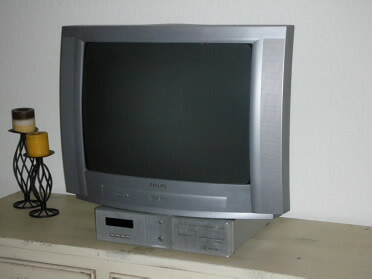 But to be able to get all my HD channels in HD was just too good of a prospect. I would have even gone Linux only if that was the only way. Well it wasn’t easy to set up and get it going… I had to upgrade my system to take advantage of DirectX Video Acceleration for H.264 video. And I battled and battled through using overlay, video demux issues and general HD PVR driver/stability issues. Through browsing the SageTV forums I learned about Geektonic. The blogs here were a gold mine of information. Through here I learned about SageMC. That helped the WAF tremendously. Then babgvant, developer of DVRMS Toolbox came over from TheGreenButton and made a few apps that made my life easier; namely, the SageTVLauncher and the DVRMS migrate tool. SageTV has been relentless in its updates. From there I moved over to Vista to take advantage of the EVR renderer. This made the video a lot better. I got a Blu-ray drive for Christmas so I upgraded to that and the TotalMedia Theatre plugin using dynamic menus in SageTV. Seemed like I was tweaking the HTPC a LOT more than ever, but then again, I was getting my channels in HD and getting more functionality with all my tweaks. And on top of that, the system was fairly stable. I started using comskip And comskip monitor in part due to a tutorial that was posted on Geektonic. I even made contributions and started using comskip early adopters with H.264 support. Things were really humming along and I was happy with my system. Don’t get me wrong, I had my fair share of issues from time to time but I felt I was getting where I needed to be and I was confident as the product matured things would only get better. Well this changes EVERYTHING. I quickly moved to change my entire setup and outlook on HTPC and the media center. I had the family room and office wired already on account of my HD Homerun, so moving the HTPC to the office was a matter of about 30 minutes. But it was still in its HTPC chassis and was not built to be a server. So I had to make some upgrades. I moved the hardware into a proper tower where I could get better cooling and more space. I repurposed the HTPC into a less powerful system that I could use in the bedroom. I did a little attic diving to wire the Master bedroom with CAT5e. Things were definitely moving in the right decision. I ran into a few hiccups here and there and pinpointed the issue. Notably I was having bandwidth problems: 2 recordings from the HD Homerun and 2 clients accessing the server maxed out my 10/100 NIC, not to mention taxed my wireless router. I decided it was time for an upgrade, so I went to the “bank” to ask permission. The current state of my system can be seen from the diagram below. Here you can see the setup as it appears in the office. I have strategically placed the printer and fax machines in front of the “sensitive” equipment and disabled the power button on the server on account of my 17 month old daughter is a curious one and loves to push buttons. I also keep all my movies in the cabinet. They are double stacked so they’re not easy to get to, but I have been archiving/ripping them to the hard drive. I figure I’ll need another TB drive soon. 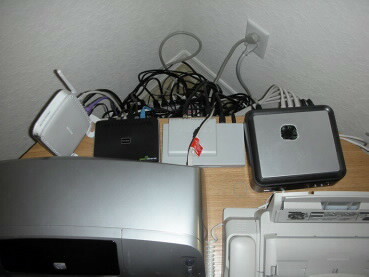 Here is another view where you can see what everything looks like from the top as well as my spaghetti of wires. I do have that 17” monitor sitting on the floor waiting to be mounted, if I ever find the time. Right now I use the other PC in the office to catch up on recorded TV when working out. I may just leave it that way, who knows? You can also see in the picture a mod I made to the HD PVR. I have a rev C2 system that I had to reboot daily and getting some random lockups as I mentioned earlier. I opened the unit up and saw the pathetic mounting of the fan. So I removed it, cut a hole on the top and placed the fan directly over the Amberella encoding chip. I also disconnected the “Bling” lights (yuck, no thanks). Obviously this voided my warranty and I wish I could take it back, but my HD PVR is very stable. This may be due a few factors such as the drivers, fan placement, locked STB output and RCA/stereo audio. 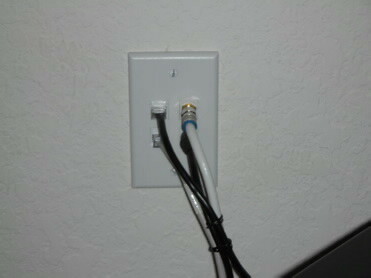 I did manage to arrange the wires coming out of the wall pretty neatly, though. Here is my family room, which is really where we mostly watch TV. For now it’s just my wife, me and our daughter so we’re good with the number of tuners we have. Rarely do we run into a conflict from only having one HD PVR. In any case, the TV just about plays children’s shows most of the time. And here is our master bedroom. I’m hoping that I’ll be getting a 32” or so LCD for Father’s Day. Hey, one can hope, right? As you can see, my old HTPC case has been repurposed into a new SageTV Client. Right now I keep the specs just about right for what it does. I have it driving the 25” tube through composite and stereo output jacks. 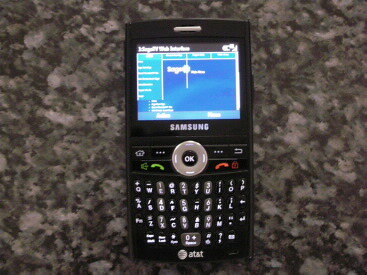 I use Neilm’s web user interface from my laptop or from my Windows mobile phone. I use it to check the health of the system, scheduled recordings, rebooting the extender, etc. About Clift: I am married with a 17 month old daughter and live in Homosassa FL. We moved here about a year ago from Palm Beach FL. I am originally from Haiti and I have a Bachelor's of Science in Aerospace Engineering. I am currently a working at a Nuclear Power Station as a lead quality assurance auditor. My family and I enjoy spending time together no matter what we do.